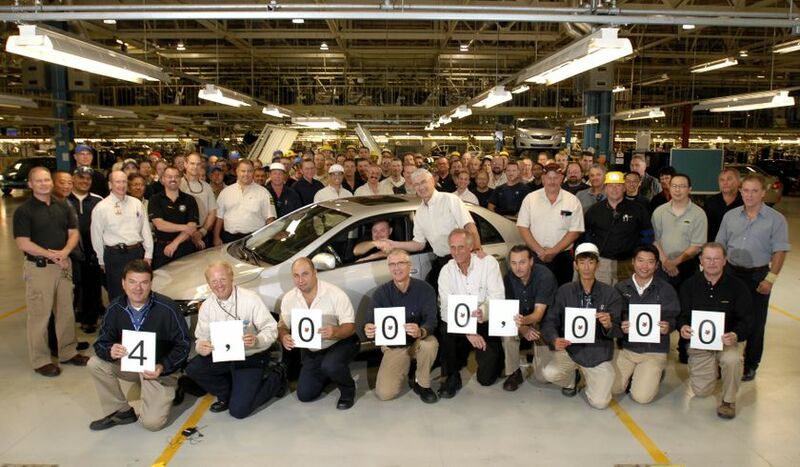 CAMBRIDGE, ON, Sept. 17- The 4 millionth Canadian built Toyota was driven off the line today in Cambridge at the Toyota Motor Manufacturing Canada Inc. (TMMC) assembly plant. The 2010 model silver Corolla was surrounded by some of the more than 6,500 TMMC employees for a group photograph celebrating this major milestone. CAMBRIDGE, ON, Sept. 17, 2010 - The 4 millionth Canadian built Toyota was driven off the line today in Cambridge at the Toyota Motor Manufacturing Canada Inc. (TMMC) assembly plant. The 2010 model silver Corolla was surrounded by some of the more than 6,500 TMMC employees for a group photograph celebrating this major milestone.